I’ve decide to retire my reqular column in the Canadian Occupational Safety magazine. It’s been an adventure but it’s time to move on and focus on my Blog and a new book! Watch here for more news! Follow the link then turn to page 12. After many years as a regular columnist with the Canadian Occupational Safety magazine I’ve decided to concentrate my writing efforts on this Blog, my EZine articles and our newsletter. Look for more frequent postings here and in our Safety Results Ltd. newsletter. 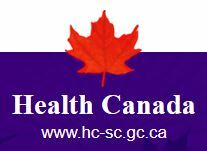 Health Canada is seeking written comments from all interested parties on a proposal to repeal and replace the Controlled Products Regulations, and make consequential amendments to related regulations, to implement the GHS in Canada.